Abolitionist, statesman, minister, and perhaps the most brilliant mind of the 19th century; it is almost impossible to overstate the value of Frederick Douglass to our nation. Douglass educated himself, orchestrated his own escape from slavery, and authored a bestselling autobiography by his late 20s. He became a leader in the abolitionist movement and was recognized nationwide for his eloquence and powerful oratory skills. 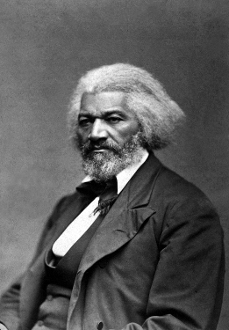 In honor of this great American, The Frederick Douglass is a special microlot from El Salvador. This coffee, like its namesake, is complex in flavor, bold yet amazingly smooth, with a pleasing sweet finish that will energize your day.